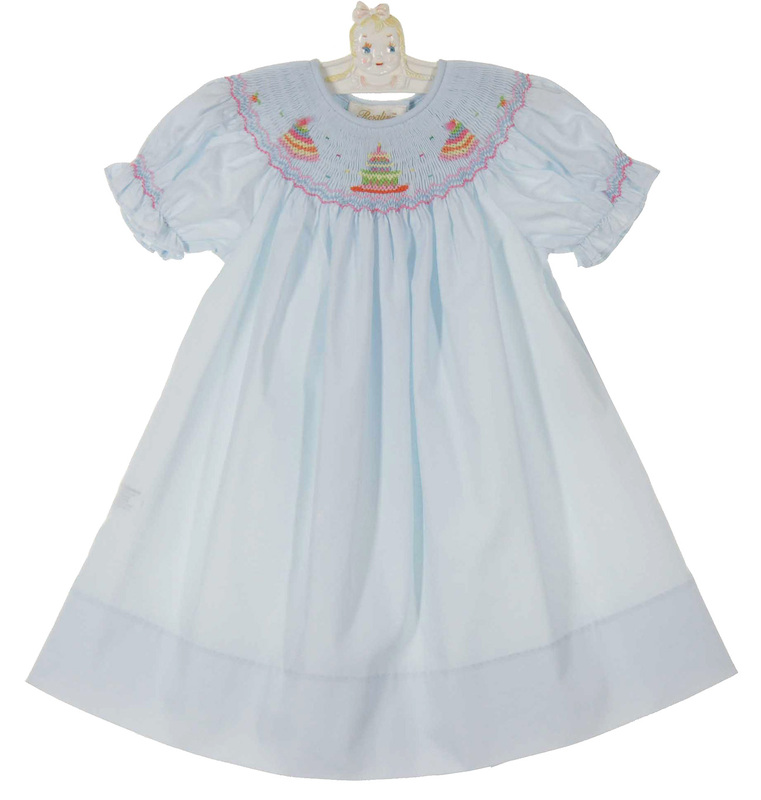 This darling little pale blue cotton blend dress is made by Rosalina, a leading designer of quality childrens' smocked apparel. 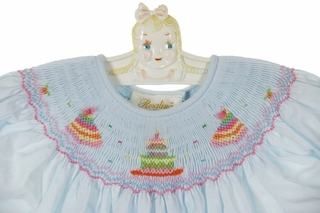 It features a bishop style smocked yoke embroidered with a cake and party hats. Sizes 12 months and 18 months have one candle on the cake. Size 24 months has two candles. The dress has a simple round neckline with short puffed sleeves finished with smocked ruffles. The full gathered skirt falls softly from the yoke and has a deep 4" hem, a sign of quality construction in children's garments. The perfect birthday dress for your baby or toddler's own birthday, birthday portrait, or birthday parties. Note: This sweet dress is also available in pale pink. See below.